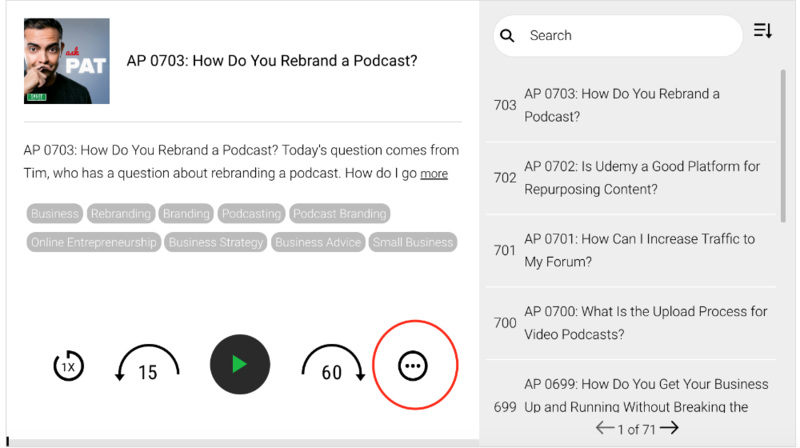 On the full Smart Podcast Player, you will see a circle icon with a ". . ." in the middle. That's where users go to access subscriptions. 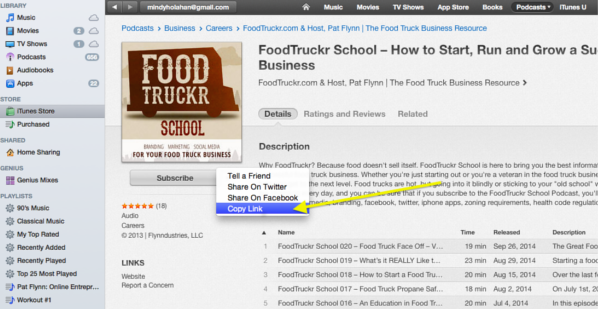 See the bottom of the page for instructions on how to find your iTunes podcast page URL. 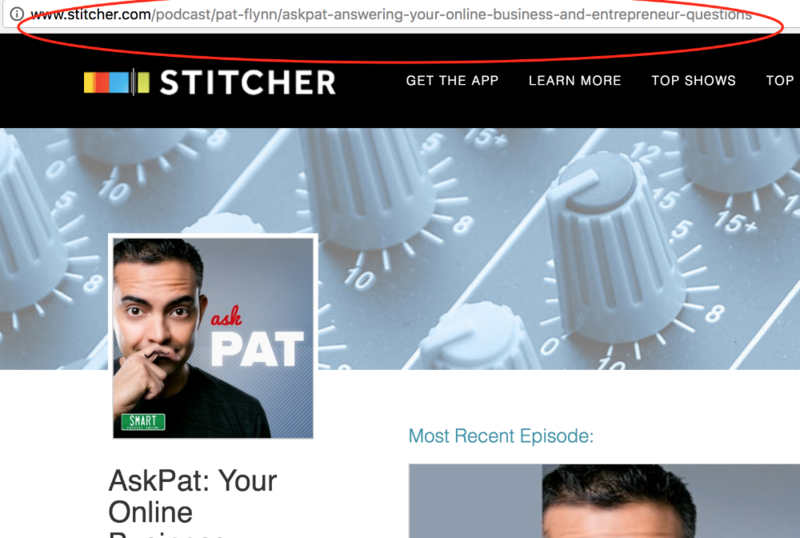 Your RSS link (the green icon on the far left) will appear automatically and will be set to your feed's URL. The others can be set individually. There are two ways to add subscription URLs to your player. The first and easiest way is to enter your URL(s) into the Player Defaults menu in the Smart Podcast Player Settings. 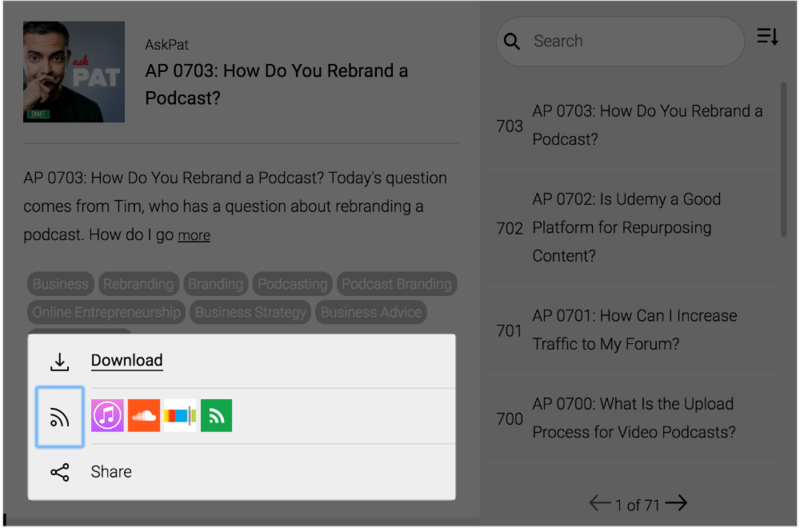 In the left-hand sidebar, hover your cursor over Settings and select Smart Podcast Player. 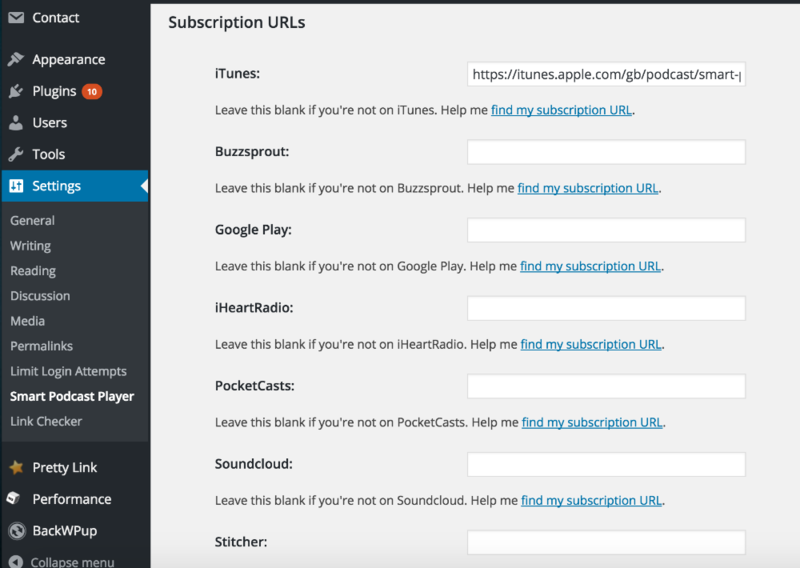 In the Subscription URL boxes, enter the URLs you want users to subscribe to. The above example will change the link under the RSS button. To change the others, you can use the shortcode options subscribe_itunes, subscribe_buzzsprout, subscribe_googleplay, subscribe_iheartradio, subscribe_pocketcasts, subscribe_soundcloud, and subscribe_stitcher. One of the most popular subscription sites is iTunes, so you'll likely want to share that. This is easy to find. In the left-hand panel, click on iTunes Store. 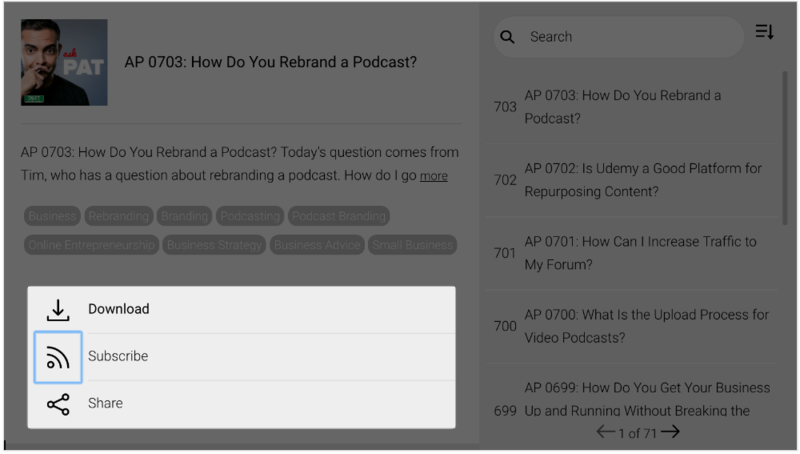 Search for your podcast in the store. 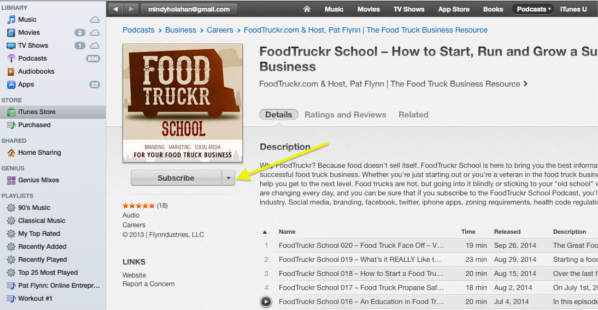 On your podcast page, click the down-arrow next to the Subscribe button. Select "Copy Link." Your iTunes store link will be copied to your clipboard. 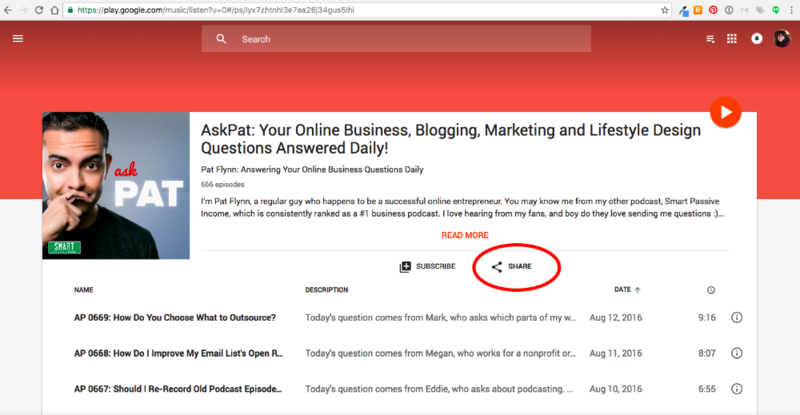 Click on share, which opens up social sharing and a link share option. Copy the link. 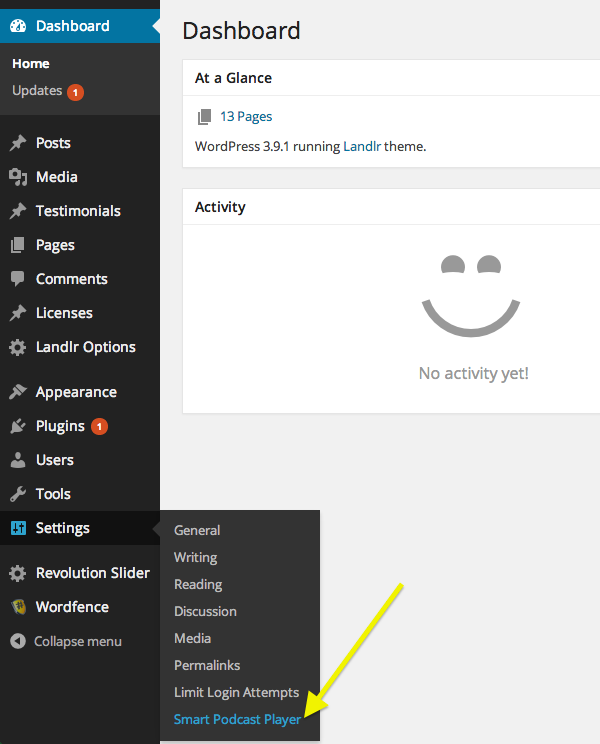 The above example removes the RSS button. 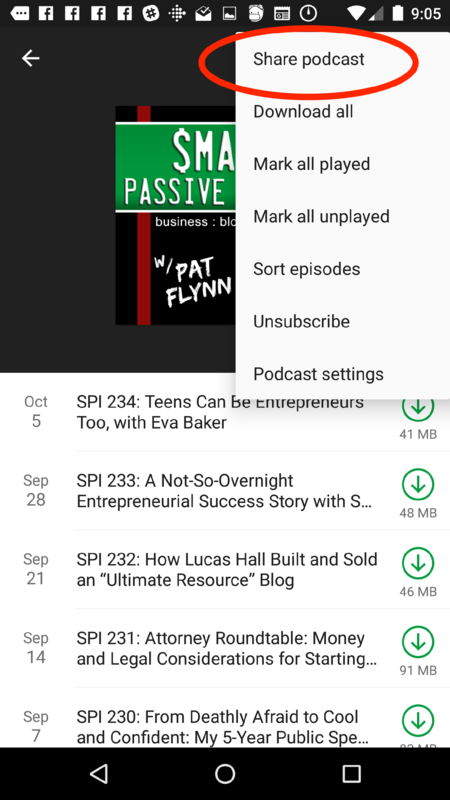 To remove the other buttons, you can either empty their boxes in the Player Defaults settings page, or set the following shortcode options to "false": subscribe_itunes, subscribe_buzzsprout, subscribe_googleplay, subscribe_iheartradio, subscribe_pocketcasts, subscribe_soundcloud, and subscribe_stitcher. Note that if all of the options are either false or empty, the Subscribe portion of the player will be absent.